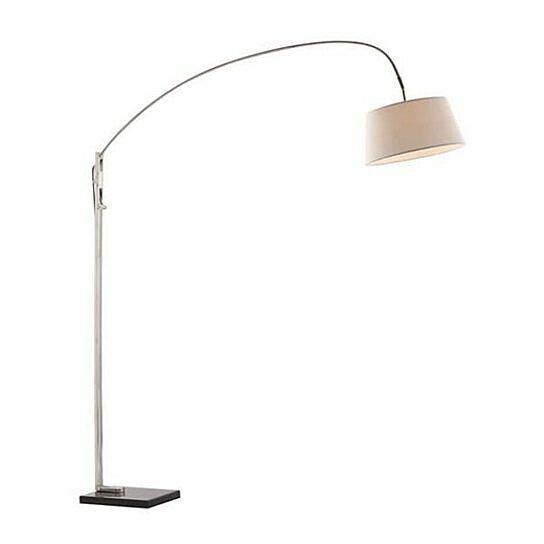 The perfect solution for the hard-to-reach spaces, the Alpha floor lamp's long neck will bring light anywhere. The lamp is constructed from a chrome base and a white fabric shade. UL approved.